Kama Ayurveda Nalpamaradi Thailam Review: A budget queen’s Kumkumadi? Prescribed in Ayurveda as a natural skin illuminator and de-tanning oil for face and body, Nalpamaradi Thailam consists of numerous effective ingredients such as Sesame Oil, Vetiver, Turmeric, Gooseberry and Indian Madder.Highly recommended as a comprehensive skincare routine. The unique combination of these main active ingredients clear almost any blemish leaving the skin healthy and glowing. The Sesame Oil in Nalpamaradi Thailam moisturizes the skin, acts as a natural sunscreen and also prevents ageing while Turmeric & Gooseberry reduces blemishes and cures acne with its antiseptic and antibacterial properties. Vetiver with its regenerative power rebuilds skin surface, supports and strengthens the connective tissues in skin reducing skin sagging that happens with ageing. Indian Madder keeps the skin lustrous. 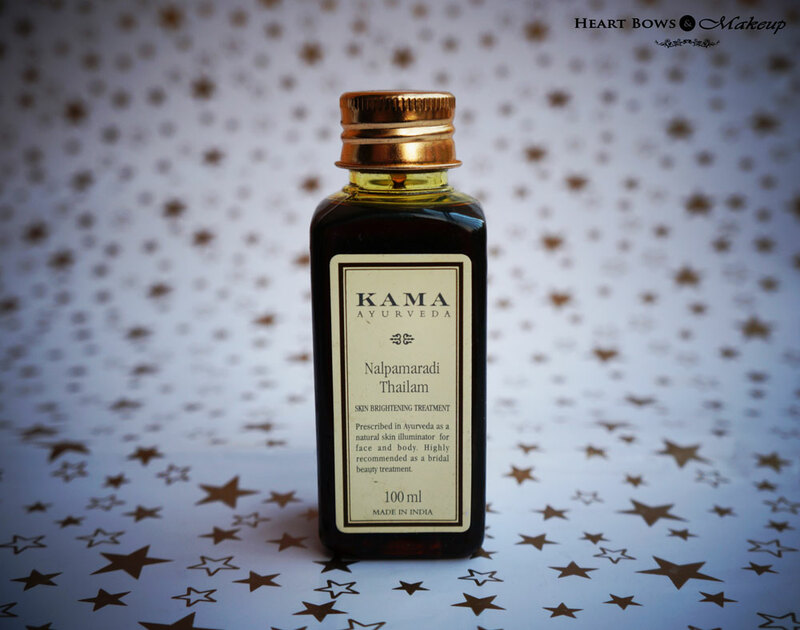 The Kama Ayurveda Nalpamaradi Thailam comes in a simple plastic bottle with a screw on cap. The bottle comes with a stopper to avoid spillage of the product. I need to be a bit careful while using it as I mostly end up taking out more quantity that required. I wouldn’t necessarily travel with it as it might just leak and stain everything. 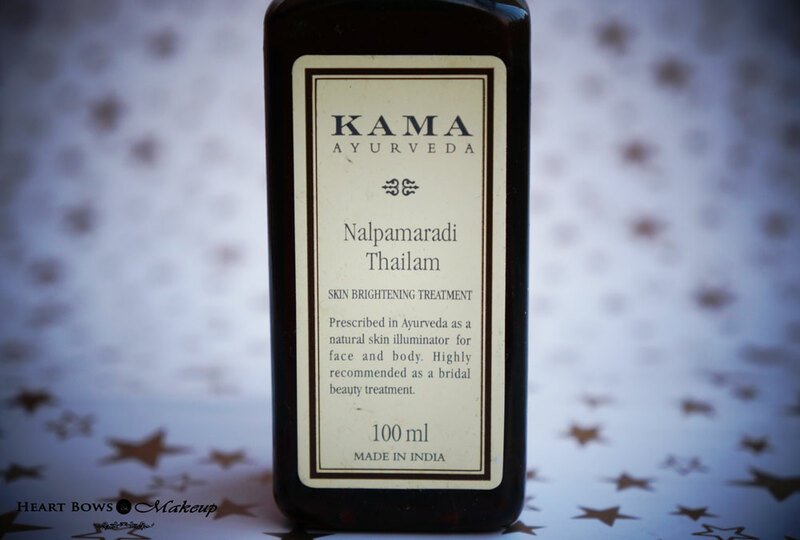 Kama Ayurveda Nalpamaradi Thailam Review – Best product to remove tan! 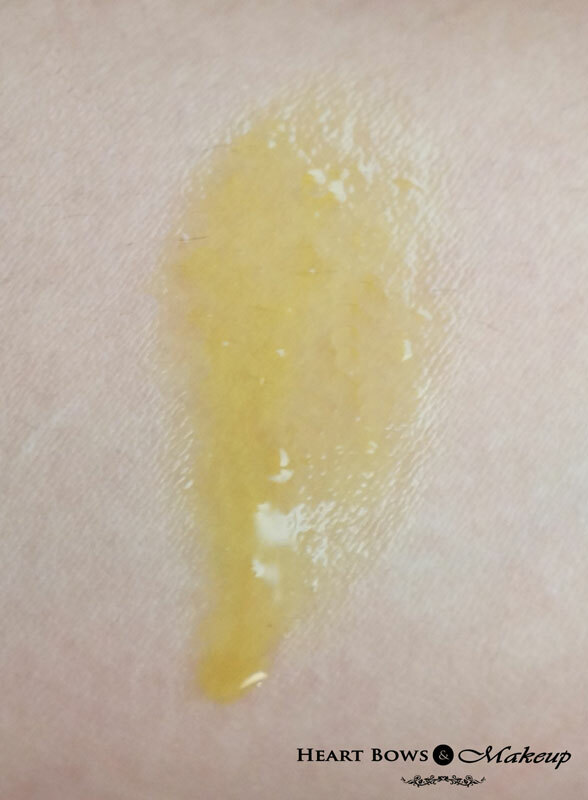 The Nalpamaradi Oil is dark yellow in color and is not too thick. It absorbs easily into the skin and does not feel heavy. I believe it can be easily used in summers as well though I prefer using it at night because of the scent plus it says it can stain clothes though I haven’t experienced the same. Usually I’m a bit wary of applying body oils which can be applied to the face incase it might be too heavy but this one doesn’t feel like it. The scent is a bit of a turn off for me. The Nalpamaradi Oil has the usual ayurvedic/herbal scent but its a little too strong for my liking and I’m certainly not fond of it. I have been using the Kama Ayurveda Nalpamaradi Oil for more than a month now witnessed great results. 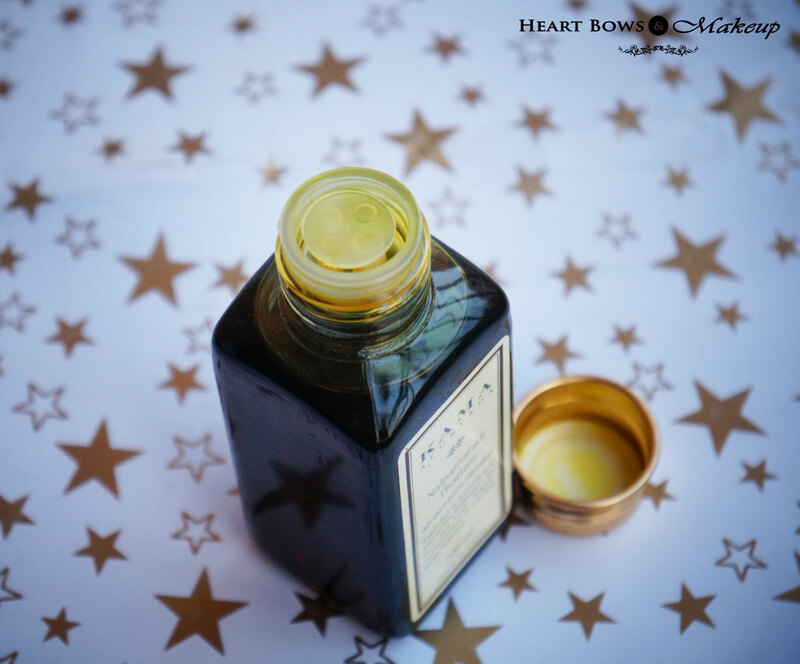 It has considerably lightened my knees and elbows and the overall texture has also improved. 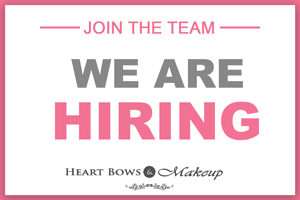 It claims to to very effective for de-tanning but luckily I did not tan much this season so I cannot comment on how well it works on that aspect. Since the scent is too strong for me I cannot bear to apply it on my face but if it worked well on the pesky dark knees then I’m sure it will deliver decent results for pigmentation/blemsishes on the face. It is also said to contain anti ageing properties which is an added bonus. This could very well be the cheaper and better option to the expensive Kama Ayurveda Kumkumadi which costs Rs 1350 for a tiny bottle. Unlike Kukumadi you can use Nalpamaradi on both your face and body for lightening tan and blemishes. This is one cost effective product which is worth a try. 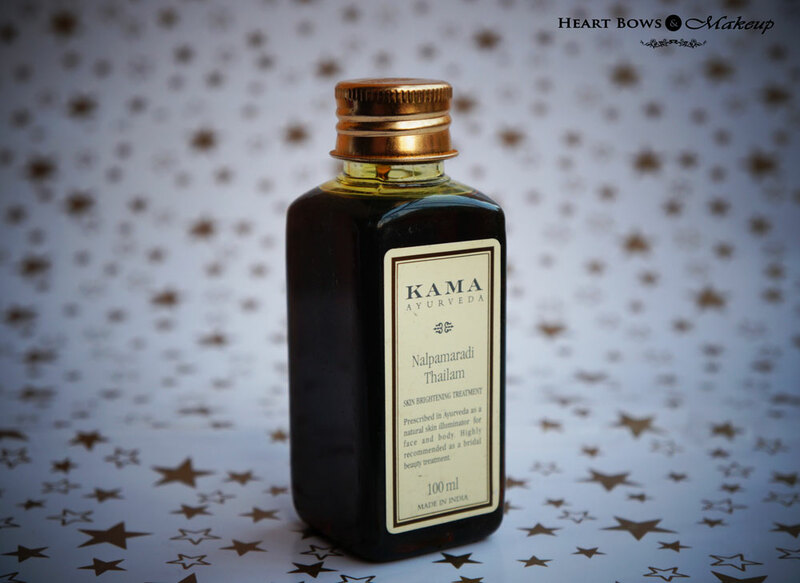 HBM Recommendation: Kama Ayurveda’s Nalpamaradi Thailam is a great treatment oil for de tanning the skin and naturally illuminating it. The oil considerably lightened my dark knees and elbows in just under a month. 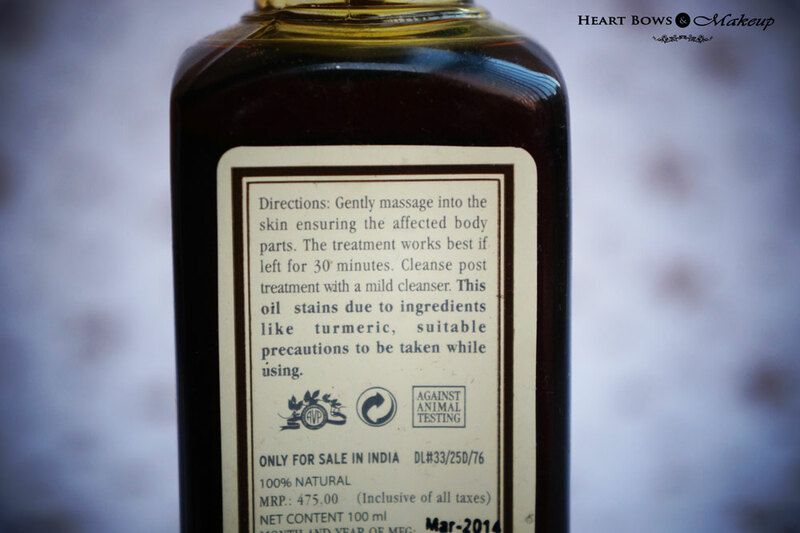 It can be used both on the face and body and is a great option for those looking to try out the Kumkumadi Oil but don’t want to shell out alot of money for it as it delivers similar claims.